So, where did M-Joy Cupcakes come from? M-Joy Cupcakes emanated from a cake baking girl, Jo, who spent her childhood basking in the American culture, learning to break eggs and measure flour in kindergarten, then bringing home recipes to test them out on family and friends (First Grade Brownies!! ), growing up on homemade pies and cookies (Alisha's chocolate chip cookies, the Adam family carrot cake, Jinny's southern biscuits), tasting great new things along the way (Nantucket BakeShop cinnamon buns, the Hummingbird and Magnolia Bakery's cupcakes, and so many others...). Her passion for all things sweet soon sent a little angel into her dreams suggesting she have her own little bakeshop, but for the longest time she never quite allowed herself to listen too closely. Until one day, the time was right, there was love all about, a great man to solidify that dream, and a growing number of family, friends and fans to support the vision. And voilà! Here we are, proud of our accomplishment and happy to be sharing it with you all! 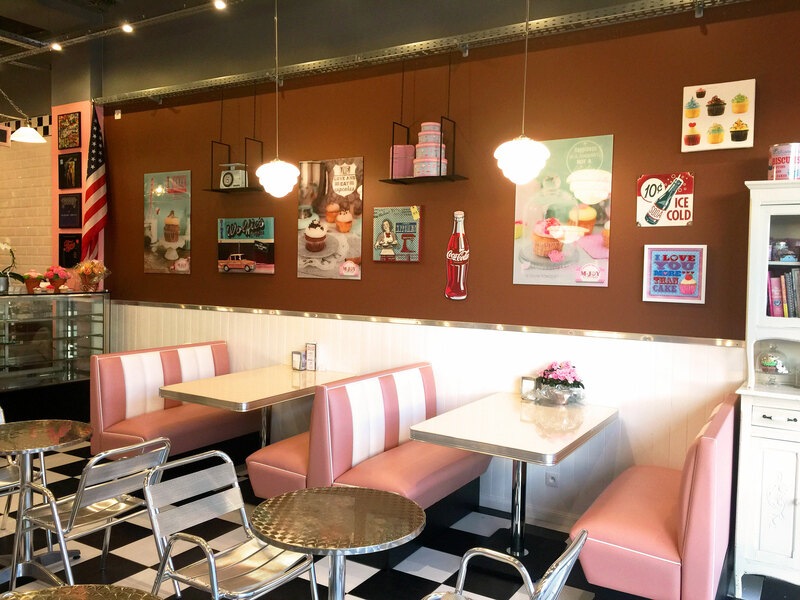 So if you have that nostalgia, or like us, you have sweet tooth, or if you have ever dreamed of something and thought it was out of reach, then meet us a heartbeat away, at M-Joy Cupcakes. Our Cupcakes Section of this website is where you will find our menu and pictures of some of our great treats.